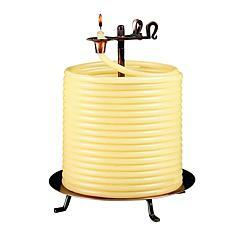 Enjoy hours of dreamy candle-lit atmosphere with a sweet little beeswax candle. 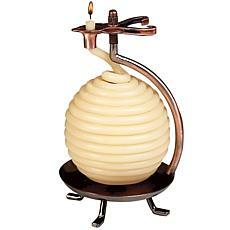 Whimsically modeled after a beehive, this honey of a candle has a burn-time feature that will have them all buzzing. 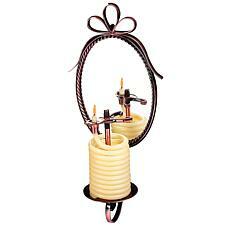 Set the candle coil to your desired burn time, sit back and enjoy a worry-free glow. Enjoy hours of dreamy candle-lit atmosphere with a candle that burns under your guidance. 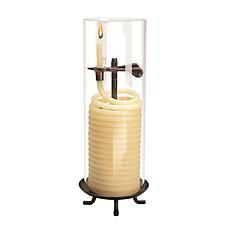 Set the candle coil to your desired burn time, sit back and enjoy a worry-free glow. 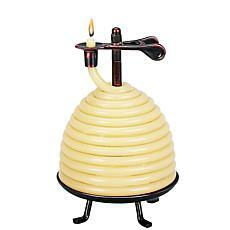 They'll be abuzz with conversation over the beeswax creation, coiled in a sculpture-like design.